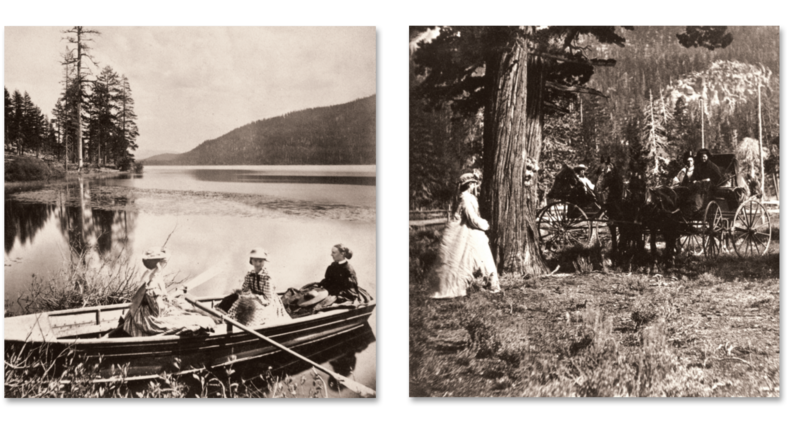 As preparations began for the commemoration of California’s Golden Jubilee on September 9, 1900, a small group called for greater recognition of the important role women played in the founding of California. Many responded and stepped forward to tell their side of the story. In turn, the Association of Pioneer Women of California was formed. The Association invited others to write their stories in a cloth-bound book. Donated to The Society of California Pioneers in 2008 by the estate of The Association’s last president, this book includes over eight hundred entries that provide new perspectives on historic events. Her Side of the Story: Tales of California Pioneer Women is a year-long project of The Society of California Pioneers Museum and Library that combines an exhibition with this online resource. Art and artifacts from our collection are used to illustrate the unique, first-person accounts preserved by The Association of Pioneer Women of California. To secure rights for the use or reproduction of material on this website, contact The Society of California Pioneers.